Altenew layering stamps are just so gorgeous to work with – they make you feel like an artist! The Vintage Roses package which I use in this video contains 3 sets of 4 layering stamps and 2 sets of 3 layering stamps. I use shades of pink and red but you can create roses from any colour family. Your imagination is the only limit … not the natural world! I love using stencils and embossing paste to create interesting backgrounds. In this video I show how to create your own stencil using a background die. Nuvo Glimmer Paste is smooth and buttery and glides into the grooves of a stencil. The finished result is ultra glittery and really eye-catching. I show how I apply it using the home-made stencil. Then I use an embossed branches background, which was made using the same paste, to create an engagement card. Tools and products used are listed below this video link. Receiving a special card to mark a baby’s first Christmas delights new parents and that card is very often put away in a ‘nostalgia box’ or a ‘memory box’ for that baby to enjoy as a memento in later years, as an older child and even later as an adult. I have made this card many times, with only slight variations, as this basic layout has had great appeal. The cute teddy bear holding a large parcel creates an appealing embellishment for this card. The tools and products I use are listed below the video. One would normally overlay the three dies on the right on a contrasting colour die-cut of the plain die-cut on the top left. In this video I take the time to use the pieces which usually end up in the bin! 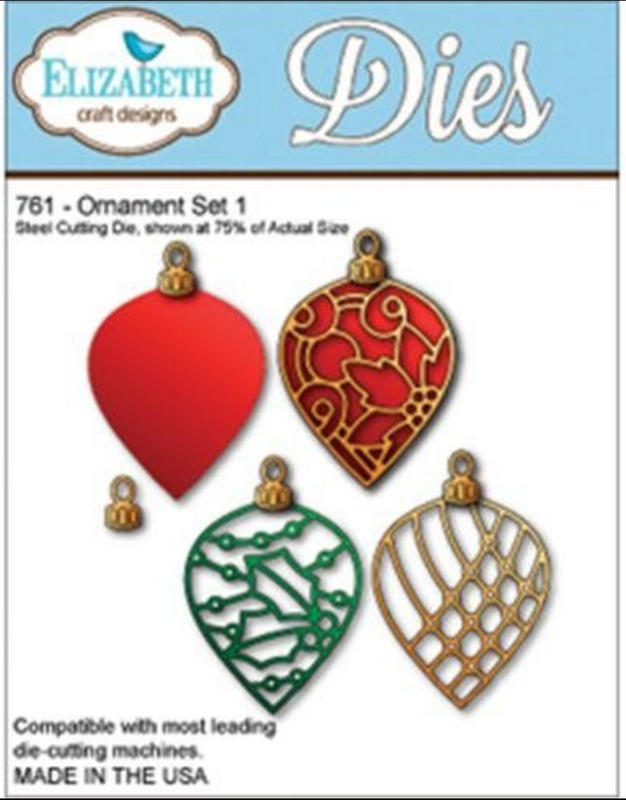 The technique I use in this video could be used with the other two ornament dies in much less time by inlaying all the large pieces and applying gemstones over the small holes and berries. The products I use are listed under the video. ***************************************************************** I hadn’t used a stencil in a while and it was while looking through my collection I found myself humming ‘You are my sunshine’ when I saw the Tim Holtz ‘Rays’ layering stencil. That reminded me of my daughter and an idea for this birthday card started to take shape. I hope you enjoy the video. The tools and products I use are listed below the video link. The Stampin Up Owl Builder punch is so much fun to use. You can create owls from coloured and patterned cardstock or you can punch it from white card and colour it with markers, paints, colouring pencils etc The fun really begins when you place the pupils of the eyes in different positions to have your owls looking up, down or sideways. You can also create expressions to match your sentiments. Here is a simple ‘Hello’ card using two punched owls sitting on a branch die-cut. The tools and products I use are listed under the video. I don’t usually buy craft magazines as I think the sterling markup makes them prohibitively expensive in Ireland. However, while visiting my daughter in Cambridge recently I came upon the Docrafts September ‘Creativity’ magazine at a very acceptable £4.99. What caught my attention was the tempting XCut mini-envelope die, a Christmas tree stamp set and some very shimmery glitter paper which all came ‘free’ with it. I got around to using the die last week and loved the results. I hope you do too. The technique of embossing the impression created when an intricate die is used to emboss rather than cut, was shared recently by Jennifer McGuire at http://www.jennifermcguireink.com so I thought I would give-it-a-go. I rather liked the result so here is the video (uploaded to YouTube on 27/10/2016). Tim Holtz Distress Inks: Card 1: Mowed Lawn, Picked Raspberry, Walnut Stain, Mermaid Lagoon, Spiced Marmalade; Red Card: Aged Mahogany, Spun Sugar, Picked Raspberry, Worn Lipstick, Fired Brick; Blue Card: Chipped Sapphire, Tumbled Glass, Salty Ocean, Broken China, Mermaid Lagoon, Faded Jeans. 2 cm Double sided tape; narrow ‘red’ double-sided tape; Pritt glue roller. For the second card in the picture I simply adhered the Bethlehem Scene frame (without the night-sky insert) onto black card. I applied the words Silent Night to the top corners and put tiny dots of Ranger Liquid Pearls on the sky to create stars. To finish, I adhered a silver star like I did in the video. This is a very quick way to use this die to produce a striking monochrome card.